Three-dimensional (3D) printing has been generating excitement in the medical field for a while, and rightly so. While traditionally some have thought of 3D printing and injection molding for plastic parts and products to be competing technology, in reality, both have their place in the medical field. 3D printing technology is giving the medical industry new life, quite literally, and is being used to produce custom or small batch items such as prosthetics, exoskeletons, windpipes, bones, implants and artificial heart valves. Even more exciting possibilities are on the horizon with researchers scoping the prospect of organ printing in the future. 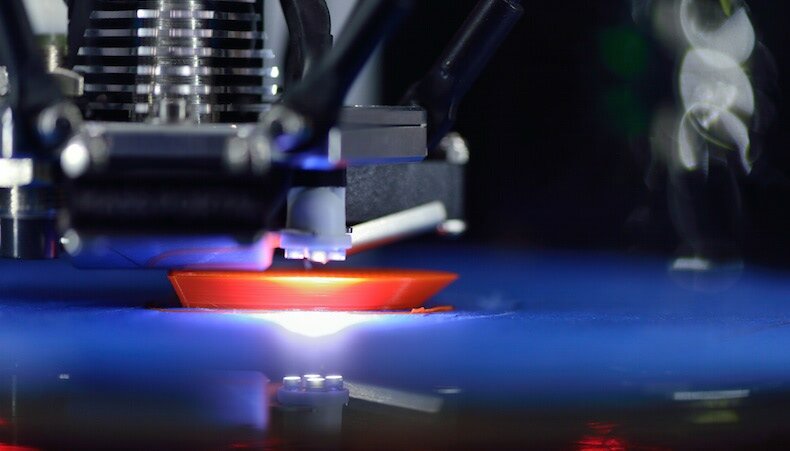 The 3D printing method fuses or deposits materials — such as plastic, metal or ceramics — in layers to produce three-dimensional objects. This technology shows great promise, especially for highly individualized and low-volume applications unique to a person’s anatomy where no two items are alike—a reconstructed ear, for example. The technology also has the capability to quickly produce a prototype mold for a complex part or component within hours versus the weeks or months that it may take with traditional tooling methods. For the larger production volume and precision tooling of critical use medical devices and equipment, however, the traditional injection molding and tooling processes are the right choice. The sophistication, accuracy and tight tolerances that it provides are superior to that which current 3D printing technology can offer. For example, the surface finish of a part made with a 3D printed tool may not be completely smooth or polished because of the layered printing process of the tool itself, which leaves small imperfections on the surface. Such poor tolerances would not be suitable for many critical use applications. The material selection for a 3D printed tool is also limited. Many medical devices require the use of thermoplastics with melting temperatures of 500 degrees F or higher. Metal injection molds can withstand these extremely high temperatures and handle resins with high melting points. They can also withstand extremely high pressure, whereas 3D molds would buckle under such high-pressure environments. And, while 3D printing is not new to the medical field, the FDA is still assessing its technical and regulatory considerations as the technology continues to evolve. When it comes to production of an item, 3D printing is best suited for smaller batches and highly individualized parts like prosthetics, and traditional injection molding is necessary for producing higher volumes of medical devices and equipment using a metal tool — applications in which optimal thermal conditions and material selection are critical. Even within traditional molding projects though, designers and engineers of critical use medical devices won’t necessarily need to use only one process moving forward, as injection molders are realizing ways to make both technologies will work in tandem to speed the product development timeline. For example, a custom injection molder may implement 3D printing as a way to build an inexpensive prototype mold and test it prior to initiating the more lengthy and detailed process of creating a metal tool. This type of partnership will ultimately help shorten iteration cycles and allow for better testing. Rather than functioning as competing industries, collaboration between custom injection molders and 3D print technology shows promise for bringing medical devices to market faster, saving time and money, and serving the needs of end-users who rely on emerging medical device technology for staying active and living life to its fullest. When working with a custom injection molder, look for experts who remain on the leading edge of technology and can offer solutions for your critical use application challenges. Learn more about the custom injection molding process and tips on how to get to market faster in our How Manufacturers Can Accelerate Speed to Market eBook. Click the button below for your free copy, then reach out to us to discuss your custom injection molding needs.